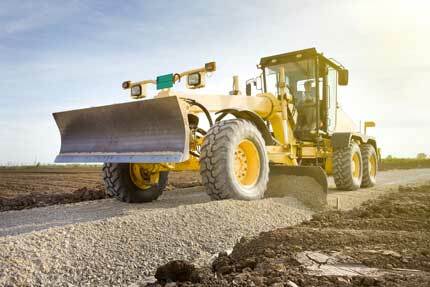 Often, when you need asphalt repair or new paving, you have to excavate the area first. Excavation removes the old, damaged materials and creates a smooth, uniform surface for the new pavement. Without a quality excavation, the new asphalt could crack or fail in the same way again, and you’d have to pay to replace it. At Hal’s Construction, we want you to receive a quality excavation the first time. Since 1973, we have provided commercial excavation in Portland, Beaverton, Eugene, Salem, and the surrounding areas. Because we have so much experience, you can count on our team to excavate your property correctly, no matter what kind of project you have in mind. To learn more about our commercial excavation services, contact us on the form below. We use only the industry’s most reliable equipment and techniques to help you with your project. We’ll even relocate the dirt for you so you don’t have a mess on your hands when we finish. Additionally, remember that we offer paving, sealcoating, grading, general contracting, and more in addition to excavation, so if you need to build a parking lot or road, we can handle the project from start to finish. Fill out the form on this page to get a free quote. You can also call us at 503.226.4999 to learn more about excavation in Portland, OR, or the surrounding area. We service a large 200+ mile radius to Portland. No matter which contact method you choose, you can count on us to deliver superior customer service.